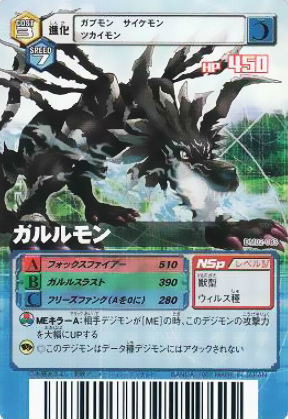 Metal Empire Killer Attack: When the opponent Digimon belongs to Metal Empire, this Digimon's attack power rises drastically. ◎This Digimon cannot be attacked by Data Attribute Digimon. This page was last modified on 9 July 2017, at 07:33.